Spiced pear cake with salted caramel sauce and creme fraiche. The menu Autumnal Dinner Party is unavailable at that date. Chef Katie Brigstock is unavailable on this date. 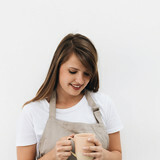 Check chef Katie Brigstock's calendar. Chef Katie Brigstock is unavailable in this city.